by Edward F. Sylvia M.T.S. This is a book that no one will want to read. This potent little book is essential for anyone who takes their spiritual transformation seriously. It offers many stinging revelations that will challenge your strongest beliefs to the very bone and take you completely out of your comfort zone. Being famous or enjoying elite status won’t help you! Going to church won’t help you! Eating healthy foods and exercising won’t help you! Living an outwardly civil or moral life won’t even help you! This book is not about helping you to become a citizen of the world; it’s about becoming a citizen of heaven—which is why God created each of us. We have failed to grasp this divine goal as a personal obligation in one’s life. Modern life has provided humankind with knowledge about practically everything. But we don’t know ourselves. Because of this, the world is full of perplexing problems and atrocities. Even seemingly rational and good-natured individuals have no clue as to the real obstacles that stand in the way of harmonious living. You will learn what these obstacles are. They will have a stinging effect on your self-image, but allow you to rise above your current biological self. Or, you may be more inclined to simply throw this book in the trash. Dear Edward, I too am Swedenborgian and one who practices the fourth way. Swedenborg says that we are here out of God’s love, preparing to become angels. Gurdjieff says we are here as an experiment in self evolution. Are we really lab rats, or plated bacteria on a petrie dish, God betting on which cultures will grown? Am I missing something in the Work? Maybe you can straighten me out on this matter. Thank you kindly. Both Swedenborg and Gurdjieff are in agreement that we are “asleep” and that we must remove our flawed character traits before the Lord God’s love can flow in. 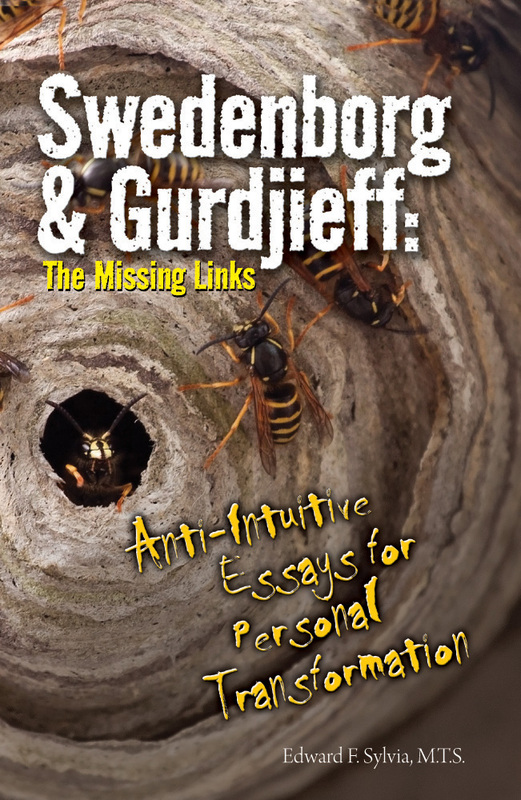 Please order my book “Swedenborg & Gurdjieff” (shown above) which delves deeply into this most important topic.